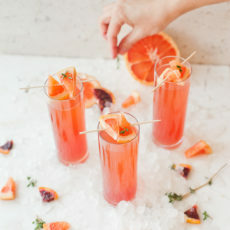 Once April hits, my mind goes immediately to tropical vacations – sipping on some fancy cocktail with my toes in the sand. 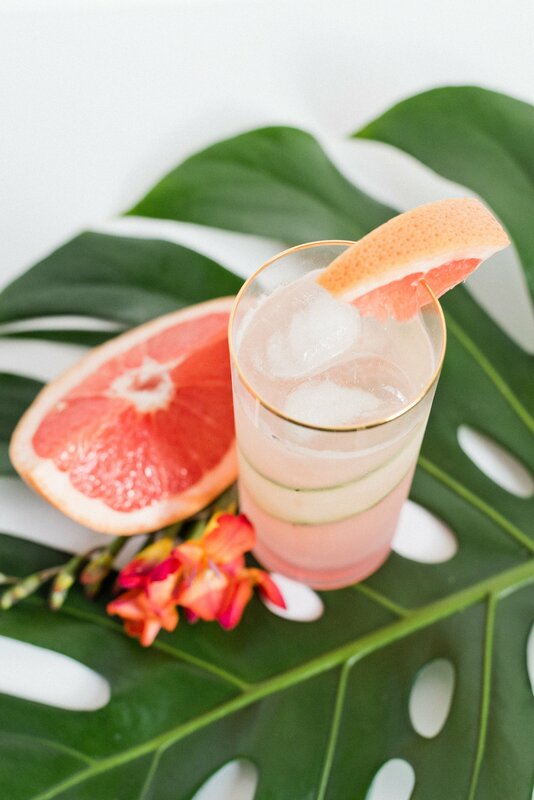 BUT a beach vacay isn’t always in the cards (or budget), so today I have a cocktail recipe that might be the next best thing… A drink that will make you feel like you feel like you’re on vacation without the hit to your wallet. 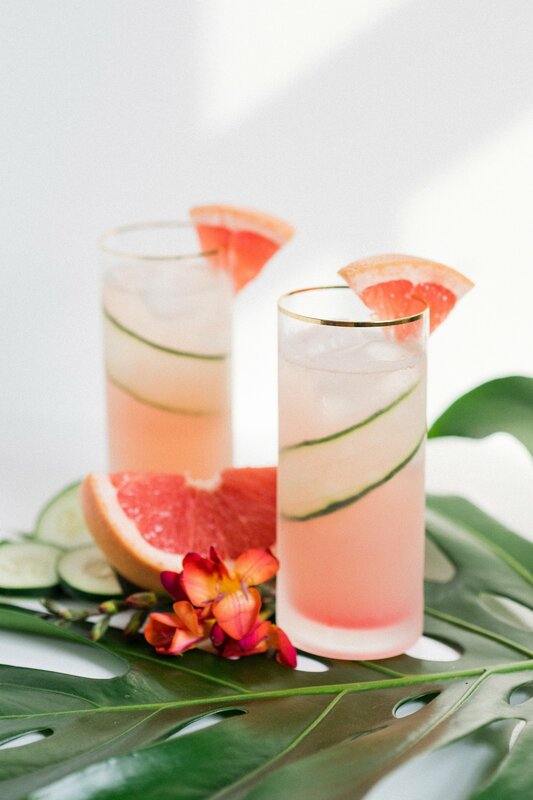 The tart grapefruit paired with chilling cucumber should probably come with a pair of sunglasses, but for now I’ll just take a few grapefruit slices and a cucumber ribbon. 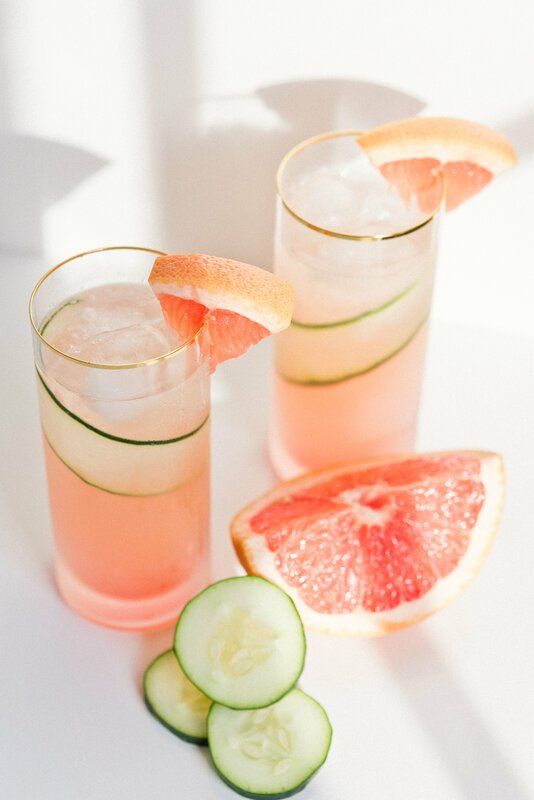 Mix fresh grapefruit juice, honey (if using grenadine, hold until later), and cucumber gin in a tumbler. If you plan to add cucumber sparkling water, don’t mix in tumbler to prevent leakage – you can add it after you’ve poured. Before you pour, wet the inside of your glass. Wrap one ribbon of cucumber peel (the cucumber “twist”) using fingers or the back of a spoon until it is stuck to the inside of the glass. 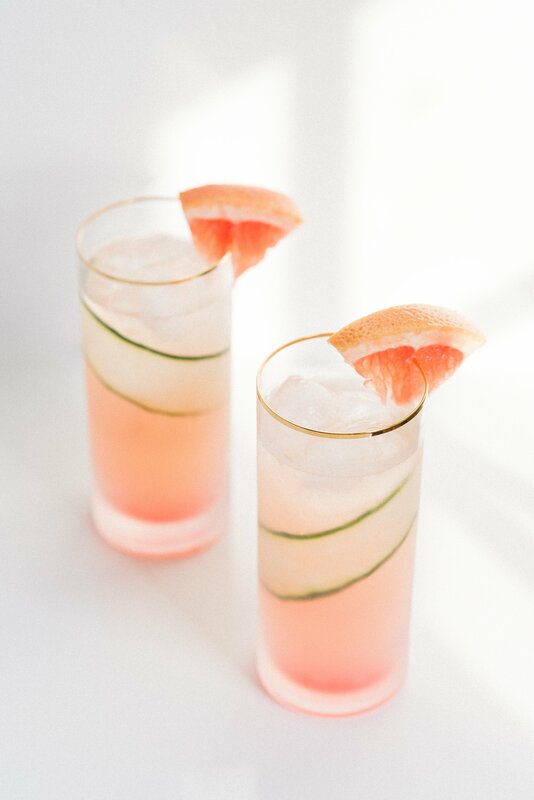 Carefully pour grapefruit and gin mixture into the glass, being careful not to disturb the cucumber peel. If you are subbing the honey for grenadine, slowly add in the syrup so that is settles towards the bottom of the glass. Add 3-4 ice cubes. 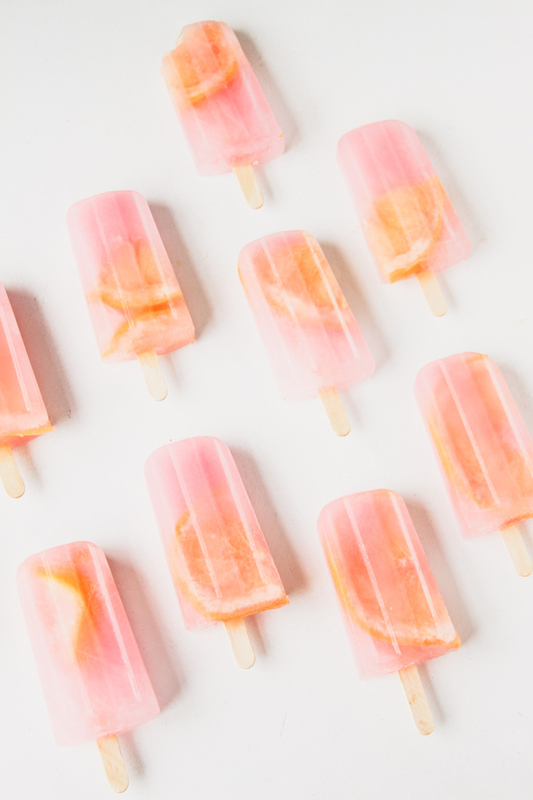 Top off with grapefruit soda. 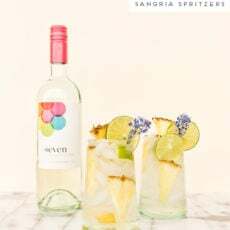 This is also the time to add the cucumber sparkling water if you’re making a mocktail. Give it a soft stir if you want, and garnish with grapefruit wedge. Drink up and get into vacation mode! 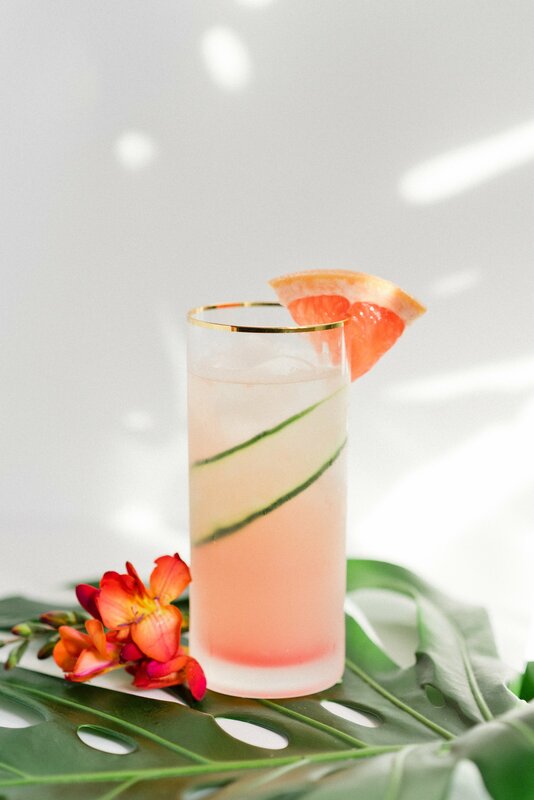 Who’s ready for vacation after this cocktail? I ask with my hand WAY up in the air. That sounds so good. I bet it’s awesome. What a beautiful ombre effect it has, and it sounds pretty delicious, too! Gotta love an ombre cocktail, right Michelle. 🙂 Thanks! In answer to your question, I’m ready for a vacation with this cocktail, or even willing to live with having one later with it! A very lovely respite from a non-vacation, thank you for sharing it!